Today marks day 125 of the server, meaning we are most likely roughly half way through, and we haven't had a post-arte analysis so I thought I'd provide my own analysis of how the server is currently playing out, what I believe will happen for the rest of the server and what I think alliances should do to win. The NW is dominated by Olympia and Olympia's personal farms, tech accounts, whatever you want to call it, YS. They look to have stayed pretty central with only a handful of players settling further out - maybe these are the ones going for big end game hammers? Olympia are growing at pretty much the same rate as their rivals, but are raiding an awful lot more than anyone else. They should have some big hammers come end game. Anyway, lets look at the stats! Including YS makes these stats look much worse than I thought they would be. But tough luck, YS and Olympia are a team so I've put them together. As expected, they have basically no defence points and they haven't lost many players - they seem like a tight-knit team. They have a lot of offence points - kudos to them for successfully stealing artes from Bifrost and attacking a lot. With their recent losses though I expect it to be a while before they launch again. They have stolen 2 artefacts from Bifrost so far - if they can steal more before the server ends then they will have a real shot at winning! Arte Rotation: 5/10. Don't seem to be making best use of the diet artes they have, and trainer rotation needs to be sped up (although if they are raiding loads whilst they have the trainer arte that may not be necessary). What will happen? : I think they will continue to attack Bifrost as they see them as the biggest threats, trying to steal artefacts and such. Then they will have the biggest end game hammers if they can improve their trainer rotation. How to win: Sim. It may be incredibly boring but if they want to win that's what they will have to do. As things stand, it looks like nobody will attack them all server meaning that their defensive players can push out some big numbers. But, they need to make good use of their large/uni diets (chief friendly feeders further away to feed troops at half wheat with the uni diet), or steal some more artefacts from alliances around them. They also need to prevent boredom kicking in, similar to AR/RA below. With the amount they are raiding, expect some big end game hammers! The NE is one of 2 quads where 2 alliances are still fighting each other. From the outside, the war seems massively one-sided, but a war is a war and having an enemy alliance in your own quad is always a danger and TBC will almost definitely cost Bifrost a lot of troops between now and end game. Lets look at the stats. So from the look of the stats, and from what I have seen on the forums/in game, TBC are getting taken apart. TBC's split from FOX cost them about 25 members (although if you know FOX, you'll know that that's probably a good thing). But, TBC are still here so will continue to cause Bifrost problems all server. Despite this, Bifrost have most defence points by a mile, second most offence points per player... They have the most troops at this point of the server by far, but if they keep getting attacked will they maintain that top spot? I actually believe that the reason Bifrost aren't attacking AR/RA/Olympia/1776/1812 is because they do not want to risk hammers whilst TBC are still in their backyard. So as long as TBC are still there that is a massive benefit to the other alliances. Bifrost - 10/10. Good placement of diet artes, trainers and storage are being rotated at a crazy pace to make maximum use. TBC - 7/10. Good rotation on the storage up until the previous player to take it... Not sure what happened there. Bifrost - They will continue to smash TBC with their op hammers and sim their end game hammers. TBC - They will look to merge with another alliance, with the most likely being AR/RA. 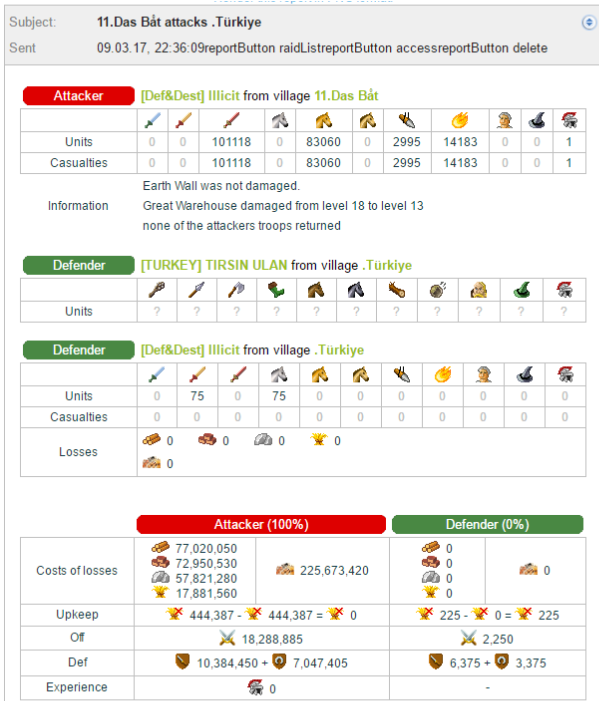 They know that they cannot survive by themselves, they cant even hold a WW by themselves, but they will have a good 500k+ defence at end game to give to another alliance IF they keep everyone active and should have some good op hammers to help out too. Bifrost - They have 2 options: 1) Continue to defend for the rest of the server against AR/RA/Olympia and smash TBC. This means that they trust in themselves to outsim AR/RA/Olympia in terms of both end game hammers and total defence. It's possible. 2) Begin ops on AR/RA/Olympia/1776/1812 (Pick one at a time I guess) and make their members either delete or produce nothing for end game. TBC - Merge and confed. As a warning to Bifrost, it is likely that AR/RA/1776/1812/Olympia will all refuse to hit eachother at end game so that you have 3 WWs to hit and all of them only focus on yours. The SW started out so promising, looking like there would be a really good quad war between 2 alliances... But the merge was inevitable. How some of the guys in AR/RA really thought they were going to have a good quad war is beyond me, it was obviously never going to happen. Saying that, the merge should have put them in the driving seat for the server, which I'm sure will be shown in the stats below. Large amount of off points from clearing artes/WW and splatting all their op hammers on Bifrost, so I dont think that shows much. Highest pop, a lot of artefacts etc etc. 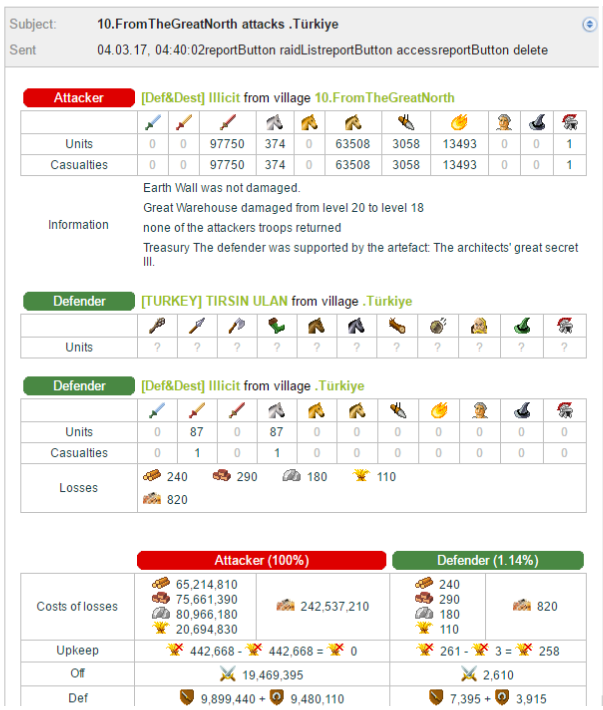 However, the tiny amount of defence points, along with the fact their quad is clear and they aren't likely to lose any cap fields during the server, plus they have the unique architect really points to the fact that they should be winning this server. The main factor in it all will be whether they can keep their players interested. They already have a lot that have stopped playing properly since the merge, and that situation will only get worse over the next 120 days. Arte Rotation: 9/10. Their trainer and storage rotation is perfect. The reason I've given them a 9 is because their small diets could be placed better in my opinion to allow more members to use it, instead of just their 2 main WWk/WWR builders (although Im not in the alliance so maybe more players are using it and then it would be a 10). What will happen? : They will continue to sim and attack Bifrost when their hammers are rebuilt as they see them as the biggest threat. They'll have some big end game hammers. Im not sure on the defensive side of it, I guess a lot of them are getting bored with absolutely nothing to do. How to win: Keep your players interested and motivated. I have no idea how you will do that, but it needs to be done. Other than that make sure you dont lose the uni architect and go after some Olympia/Bifrost end game hammers. Cereals are the best alliance ever. Now we've got that out of the way, time for a proper analysis. 1776/1812 have done well to keep 96 members active. They need to make sure that they dont lose many more before end game. 1776/1812 seem to have got over most of the internal arguments by finding a common enemy - Cereals! That is great news for their hopes of winning the server. All but one of their ops so far have been very poor other than 1 - they need to find what works quickly and do it more often because they cannot afford to give someone the small trainer for 10 days for him to then lose his hammer in an op (Ref: Kaiser). They also need to stop creating so many alliances... Leaving does not make you less of a target, you just lose your metallurgy and recruitment bonus. 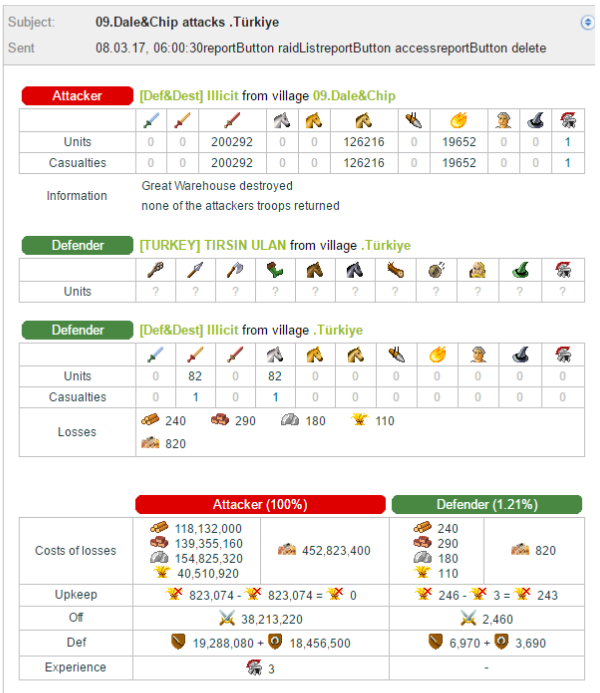 1776/1812 have lost more caps than any other alliance on the server so far, but dont have the defence points to show for it, yet. They need to put up bigger and more walls. If anyone defends themselves, tell them what they are doing wrong! Theyve destroyed a few Cereals caps in retaliation, but they need more hammers to carry on doing this and more risky offensive ops. 1776/1812 have all the required artefacts for end game - small trainer, small and large storage, a diet arte... So you cannot rule them out yet. Cereals have been doing what they can for a small alliance. 2/3 ops a week, smashing up a lot of caps and feeders, making a lot of enemies delete. They have the most offence and defence points per player so not really much more they could be doing... Their lack of a storage and small trainer may come to haunt them as the server progresses though. Some of their ops recently have had mistakes from members causing a few walls, but they have plenty left to carry on. Cereals have had barely any deletions and since they aren't here for the win they can cause a lot of problems. Will they continue to hit Americans all server? Who knows. 1776/1812etc - 5/10. Scout artes are in the correct place. Small trainer rotation is way too slow. Boots rotation is non-existent. Storage needs to be sped up. Large diet is being wasted. Cereals - 8/10. Large trainer rotation is too slow for my liking, everything else is perfect. Boots being passed around to smash, diet is in the middle of the main cluster so everyone can feed troops there. 1776/1812etc - They will continue to hit Cereals, lose all their op hammers, lose more of their WWk's if they are not careful. 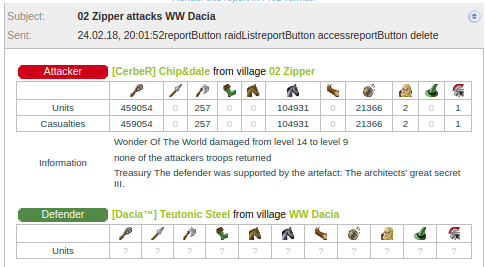 They will go for a WW but because of Cereals they wont have enough defence to compete. Cereals - Continue to smash 1776/1812 for the foreseeable future until the chance of the Americans winning is confirmed to be zero. 1776/1812etc - They need to improve their trainer and storage rotation, and hit more Cereals caps to slow them down. Most importantly, do not lose the small trainer or any more of your end game hammers. Cereals - Not really applicable to Cereals. If they wanted to win, they would have to confed/merge. Bifrost clearly had the best day on arte release, getting the most artefacts. They also seem to be using their artefacts as best as possible. But, they have lost 2 artes to Olympia already. They cannot afford to lose any more. They also have the highest average population, making me think their average player is much better than anyone else's. Olympia, AR/RA and 1776/1812 all have one small trainer which could help them produce big end game hammers. My prediction is that Bifrost will win the server. But, with AR, RA and Olympia all only attacking Bifrost, I could be wrong. If AR/RA and Olympia dont attack each other (including refusing to attack each others WW), I think AR/RA will win as they have the unique architect. I think 1776/1812 wont have enough defence to compete and their only chance is if they have the highest level WW when all other alliances have used their WW hammers on each other. If TBC help AR/RA (like I think they will), then AR/RA/TBC will win. Post was edited 1 time, last by Marksy_UK ( Feb 26th 2019 ). Yeah, Im disliking this, because this isnt a 10. Sorry. Better luck next time. Bifrost - They have 1 option: Saravan keeps making memes. AR/RA and 1776/1812 are relevant because they have end game ambitions, therefore will have an impact on the server one way or another. Cereals would become relevant if they went for a ww. Attacking 1776/1812 for half the server, with no sign of that changing, makes Cereals irrelevant. It wasn't an attempt at trolling, i don't have the argumentative nature or even the skills for that, I guess i just don't understand what it is makes Cereals tick. Unless it's personal with 1776/1812? Is there history between the alliances? No history, just happened to spawn in the same quad. If Cereals hadn't been smashing 1776/1812, costing them millions of troops already, what do you think they would be doing? Just sitting there not building the troops? Do you think they would have the same amount of players quit/delete? Saying an alliance is having no impact/irrelevant is an incredibly short sighted comment from someone who is only looking at the WW stage of the game. Imagine if we spawned in your quad and you had 30 players delete and lost millions of troops... Would we still be irrelevant then? From what you've seen, do you think 1776/1812 would have a chance of winning without Cereals action? I don't know because I've not played with or against them, but from reading how bad Cereals have rated ops and defence from 1776/1812, I'd guess not. Then there is the criticism of their artefact use, which would mean that their WWKs/WWRs might not have been as heavy hitting as Bifrost's/Olympia's anyway. As for 30 players deleting, how many are genuinely because of Cereals, and of those, how many would have deleted before end game anyway? Hence my opinion that Cereals haven't changed anything significantly. I don't think they would win anyway. But again you are only thinking about the WW stage of the game. I'll ask the question again. If Cereals weren't in the SE, what do you think 1776/1812 would be doing? Just sitting there and doing nothing all server? They could have thrown their troops at AR/RA and made a war there, meaning you lot are in a war and become "irrelevant" (in your logic) as your end game ambitions go out the window. Or they could've joined the rest of the server in hitting Bifrost, hitting a few caps, killing defence and making them a bit weaker for end game. I don't know if you've ever had a proper quad war before, by the look of it I'm going to guess you never have, but anyone that has can tell you that you lose a lot of troops and no matter what that means you have less troops for end game. That is the reason you meta'd up your quad on day 40 and 1776/1812 tried to meta up their quad on day 20. If you're genuinely not trying to troll here, then message me in game and I can explain it in more detail to help you understand, giving examples of previous servers. Don't want to clog up my thread with an argument. If Cereals are to be believed, and I've no reason not to believe, 1776/1812 would probably be simming for end game if they had the SE to themselves. If they did throw their troops at AR/RA then I'm sure that we'd have the defence and attack points that Cereals currently have, and end game preparations would be unaffected. So again, my point still stands that nothing would be significantly different. As for whether or not I've had a quad war, I've been busy with plenty of in quad wars, cross quad wars, and I've even played in a messy civil war when a meta collapsed, that server I still made it to end game although natars won that server. I have played in spoiler alliances too but gave the accounts away as I didn't see the point in playing without trying to win, and maybe that's why we'll never be able to agree Cereals contribution to the server, unless you do something that I don't expect - go for a ww or support someone else's. Was hard work trying to find people that either have chiefs, CP or actually want to use the Large Storage, hence the reason I kept hold of it for so long. Most members only want the small one instead. Spent a week asking if anyone wanted to use it & I got no response until Saturday morning. The diet was beacuse i was sick, obvious food posion from AR/RA before the OP. Not fair play pls ban. I demand a rollback until when Loffe had 4 ST's and an extra large diet!!!! Great point lets hope MH will make this reality! Unless it's personal with 1776/1812? Is there history between the alliances? Yes.. We dumped their tea in Boston Harbor a few generations ago, and they've been "salty" ever since.. I've not played with or against them, but from reading how bad Cereals have rated ops and defence from 1776/1812, I'd guess not. With all that you still don't have chance at winning by your own words, sad.